Some critical processes are always based on the audit/review to make sure they do not contain errors, especially when the process involves money or confidential data. An organization always runs risks, including the possibilities of fraud being committed through various factors. Payroll Software in Saudi Arabia has some authority or control over the funds or confidential data of the company, which is not insured, it has more possibilities for fraud. Such situations require more documentation, clear strategies, and values. 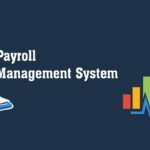 In a company, one of those critical processes is the Payroll Software in Saudi Arabia, since it has access to funds and confidential data that require maximum attention and security.. Payroll process: employees or workers can report high salaries and pay another amount, or managers can display a false list of employees and eliminate salaries. Information leak: here the manager or any employee can filter the salary sheet due to which the confidential data of the employees or the accounting information of a company can be used improperly. Attendance management: employees who have worked for a month may not get a salary if they are not included in the payroll list or if employees can claim wages on days when they were not present at the company or organization. Daily wages: in this process, employees can be paid for fewer hours than they work or employees can claim for more hours that, in fact, they have worked. Incentives: here workers or employees are paid for the products or customers they have created for the company. Then, when paying for them, it may happen that they do not receive the correct amount of the products they produce or the sales they have made. Travel expenses: Employees may have to travel for commercial purposes in some places and are recovering all expenses incurred during the business trip in a simple term that is known as Travel Expenses / Estimated Deduction. Here, when calculating the payroll, employees can send fake invoices and get more reimbursements that, in fact, they have done. Approval managers or the authorized person may send false invoices on behalf of employees and may receive refunds that are not made. It is the company’s serious threat that has not been adequately safeguarded, which in turn leads to inadequate management with accounts and decreases growth, as well as the number of company employees. However, the Payroll Solutions in Saudi Arabia can help reduce payroll fraud. How to prevent payroll fraud? The best way to avoid payroll fraud in your company is through the use of a secure and automated system that meets the requirements of your company. To protect your organization/company against fraud, you can count on a trusted payroll provider. By using the automation system, the rights of employees can be established according to their designations so that payroll processing frauds are not incurred. Payroll process: Payroll Software in Saudi Arabia provides the shipping module that has the ability to generate employee cover letter, appointment letter, note, and warning letter automatically and also has a salary that is integrated with the payroll so that there are no possibilities of commit fraud with employees. You have the ability to manage documents; there is no possibility for managers to create a false employee list. Only authorized persons can enter data about new employees in the system. Information leak: here only the authorized person has the right to the salary teacher to access the data. Then there is no possibility to filter any information. Attendance management: the payroll and human resources solution of Attendance Software in Saudi Arabia is integrated with the biometric machine, so there is no possibility for employees to claim the salary of the day they were not present. As the biometric system is integrated with the payroll system, it stores the data of the employees who enter and calculate the salary accordingly. Daily wages: as indicated above that the payroll software is integrated with the biometric machine in Payroll Software in Saudi Arabia, there is no possibility to calculate the salary in hours calculated manually. 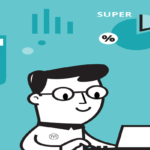 Reduce fraud by paying employees and increasing employee satisfaction. Employees can also request overtime and can claim compensation. Incentives: in fact, the employees’ salary can be calculated according to the KPI. Here the objectives can be predefined by the authorized persons or elderly people through the system that is integrated with the payroll. Then, employees can have predefined monthly goals that give them the correct route of their tasks. They feel motivated since their work is taken into consideration and they cannot claim compensation for the work they have not done. Travel expenses: the travel expenses system is integrated with the payroll system in Payroll Software in Saudi Arabia. Employees can attach expense invoices and can claim reimbursement at the time they are on the trip. They can also see their claim status and can get confirmation of their payments. Here there is no possibility of fraud since it has the approval process for several levels. Neither the employees nor the managers can make fraud to claim the expenses. Leave Management Software in Saudi Arabia is the best comprehensive provider of human resources and payroll at an affordable price. He is the leader in the management of the workforce of generation Y to provide human resources and payroll solutions such as cloud-based software. Using all the Payroll System in Saudi Arabia modules, mentioned above, no one can commit fraud. As it is cloud-based software, employees, managers or any authorized person can access it anywhere at any time.